What is Peace? What does it look like? What are its images? Have we ever known peace? What is the difference between one’s individual practice of peace and world peace? “Doves mate for life, are incredibly loyal to each other and work together to build their nest and raise their young. Because they tend to nest in areas that humans can watch, people picked up quickly on the idea that doves were dedicated, honorable and peaceful. While hawks and other birds of prey would violently attack their neighbors, the dove was a bird of peace, eating seeds, easily trained to eat out of the hand or to become domesticated. Is peace the absence of something; the lack of war, hate, poverty? Is peace an addition of something; love, cooperation, compassion, a willingness to resolve conflict through compromise? Will a political solution bring us peace or is it cumulative through an individual’s practice spreading to others? I make no claim to having answers – but it’s worth considering and sharing all the many ways we do experience peace, both personally, collectively, technologically and politically. Ideas do have a way of becoming viral and perhaps if we could share with each other our notion and practice of peace, describing the small ways in which each of us already does experience peace, we can deepen, encourage and multiply the practice of peace for ourselves and others. Why wait for someone else to create peace when we can be creators ourselves? I know, crazy, isn’t it? As the saying goes, “nothing worth having ever comes easy.” As well, many of us already do practice creating peace for ourselves and others, and we aren’t always aware of the impact that sharing our experience can have. 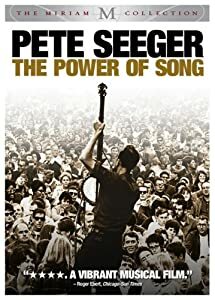 Recently, watching a documentary, titled Pete Seeger: The Power of Song (2007), I was struck by the life of this man; one of music, authenticity, energy, controversy, along with contributions to the community that I was unaware of. I have always been a fan of his live performances with Arlo Guthrie, and am thankful to have seen them perform together a few times in 70’s, and the 80’s in small venues on Long Island where I lived at the time. Through interviews, the movie showed Pete’s efforts towards making a more peaceful world both in the way he lived his life and in local causes he embraced. Admittedly, I struggle with the perception of him as political figure and specifically his support of communism. I don’t recall Pete and Arlo ever politicizing their performances though, but rather promoting through song and storytelling ideas of peace and freedom for all people and eliminating suffering caused by wars and poverty. I am aware that Pete was involved with the Communist party of the USA, but as the documentary and other sources show, later in life he denounced the violence and harm done by communist regimes that he may have seen as political solutions for humankind. And, even if Pete believed communism to be a solution to humanity’s problems, people’s beliefs do not represent the entirety of their life or nullify their good works (saying this as much to acknowledge the need to dispel this notion in myself as in others). ““I certainly should apologize for saying that Stalin was a hard driver rather than a very cruel leader,” he said. “I don’t speak out about a lot of things. I don’t talk about slavery. A lot of white people in America could apologize for stealing land from the Indians and enslaving Africans. Europe could apologize for worldwide conquest. Mongolia could apologize for Genghis Khan. But I think the thing to do is look ahead.” Pete Seeger in an interview with Ron Radosh. Read more here in the NY Times article. 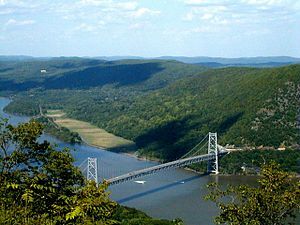 One of Pete’s legacies was his initiation of a successful community based effort to clean up the Hudson river in NY by raising awareness of the issue and funding for a non-profit organization dedicated to cleaning up the river and advocating for corporate responsibility for damages done and better stewardship in the future. 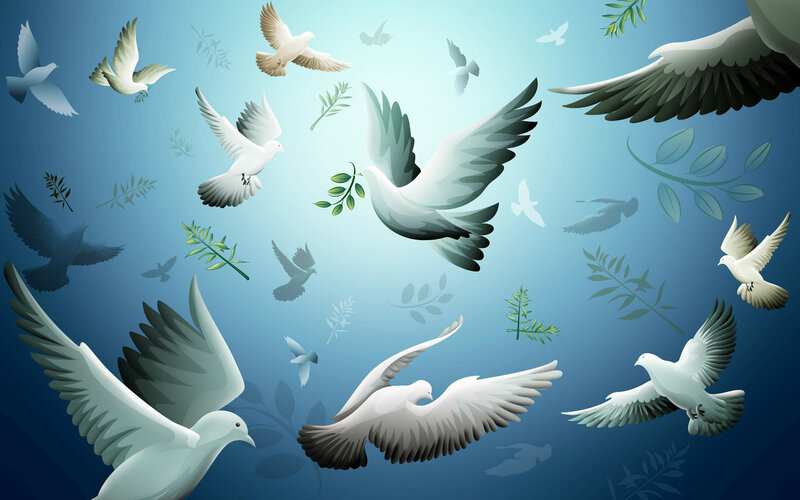 There are many others, alive and dead, famous or not, that have dedicated their lives to working for peace. I applaud Pete for working at the local level to make a difference to the local and not so local community. As always, I look forward to hearing your thoughts on what peace is and how you practice its presence in your life, in the local community; how is peace made manifest in your life? And is peace in the world composed of our individual practice of peace or is something else needed? Next ›Why Deny the Obvious Child? I believe that with practice, many of us can change our response to a sometimes hostile and frightened world. When I know peace I can remind myself not to abandon its place and importance in my life, especially when I am most likely to reject peace in my words and day to day responses to others. Thank you for sharing your work here! I know for me, the resource that I would have the most respect for is from someone who has experienced turmoil and strife and yet has learned to transform that experience into something real and tangible and practical. Thich Nhat Hanh comes to mind. I’m sure there must be others. A thought provoking post! I agree, that’s an important acknowledgment. I suspect that many of us have, in both small and bigger ways experienced transformations from suffering. Another wonderful, thought provoking post Debra! I think “peace” is like “justice” or “love” or any of those constructs that words can only approximate. It is a form we hold in our minds that we understand as being so essential to our well being that it activates the neural pathways that compel us to share it with others. I consider peace to be more than just the absence of war, as turmoil within one’s own life can shatter any notions of peace. The abused child or the addict certainly cannot describe his existence as a peaceful one. I know this definition is not inviolable but peace to me is humility, compassion and a complete abandonment of any exercise of dominance over another. Thanks Henry. This is wonderful: “I know this definition is not inviolable but peace to me is humility, compassion and a complete abandonment of any exercise of dominance over another.” Love it! Thank you twrightlove! I have enjoyed reading your blog. I love Curtis Mayfield, he was another special guy who shared the gifts he had with us. -Yes, none of these things exist with Peace on Earth. -Peace isn’t necessarily an addition of something, although one could claim it as such. Peace comes from a personal recognition of being God – of being All in All. Only a theoretical solution – one that proves Unity and Immortality and Omnipotence to the reader of the solution – will bring personal peace. Politics, Science, and Religion will never reach the Promised Land, as the borders of their respectively lands are manifestly bordered, closed, and defensive. When I prove to Myself that I am Politics, Science, and Religion, I understand that I am fighting Myself, arguing with Myself, and fearful of Myself – then, and only then will I tear down the borders that I Myself built and I Myself am. When I prove to Myself that I am All people on this planet, then I will have World Peace. When I prove to Myself that I am old and young, gay and straight, black and white, Arab and Jew, then I will have World Peace. When I prove to Myself that I am all words, symbols, numbers, laws, values, ideas that exist now or have ever existed, the I will know who and what and where I am. Then I will have World Peace. When I prove to Myself that I am all planets, stars, galaxies, meteors, comets, moons, and space, then I will see who and what I am. Then I will have World Peace. Acceptance of, “I was within and without,” I love that line from Great Gatsby. Thank you for the note! I hope all is well with you. Peace & Love my friend. I think peace, Debra, has much to do with a kind of inner and outer dance that takes place in life. Peaceful external factors no doubt influence and add their contribution to inner peace, while the growth of inner peace has its contribution to peace in the outer world. I have witnessed a tranquillity within which nothing seems to shake in just a few people and I’ve always stood in awe of it. It’s almost as if this peace or tranquillity borders on the absurd, but in discerning it carefully it’s no doubt real. The common thread in all these people was a long sustained period of the practice of meditation. I must confess that I’m no where near this, but I certainly feel far more at peace both inwardly with myself, and outwardly in my dealings with the outer world than I did, say, ten years ago. Ditto for me Don. It gets better as the years go by, but I still get riled up now and then. Yes, I think our mediated experience may bring some good along with some fallout. That’s another great topic for pondering. Pete was special and stayed the course throughout his long life. Wonderful read Monika! I love Krishnamurti and am quite familiar with his writings. I agree with him and others like Erik (Anacephaleosis blog), who suggest that peace comes through breaking down the walls of separateness that come from our sense of ourselves, including the way we use language. I think peace is the natural state of being. It is present in the stillness and flow of nature. I also think many people lose peace because they were not raised to value it and prioritize it as such. That is a very positive view Linda. I see much love and calmness in nature at times, and wish I could only see that, but the hardest thing for me to reconcile is the brute forces of nature that cause suffering, whether it is the difficult fact that life feeds on life or the horrors of devastating storms and fires. What to make of the suffering, I don’t know. I agree that people who have not been exposed to loving relationships, or any relationships that were lasting enough to create bonds of trust, need our utmost compassion and love in the hope that they may come to know the true joy of others’ love for them. your comment gives me much to consider Debra. I need to expand my definition of peace to include what is in service of the highest good with no negative or cruel intentions. I give much more credit to the natural world that excludes humans in this definition as I believe that most of humanity is too damaged to be able to behave without negative or cruel intentions. Yeah, humans seem to be, troubled, or without a sense of belonging? At least when an animal eats for food, it seems to act out of an instinct, or from that which can be no other way, so we wonder, what is our excuse? I often wonder how we can reconcile ourselves to the brutality of nature? What is our instinct? I do love to exchange these ideas with you Linda! Yes, you get my point that animals and the planet acts out of either instinct or natural laws. There are no emotional overtones, grudges, judgements, other ego based moves. I cannot answer how to reconclie the brutality such as Katrina, Sandy, tsunamis, etc but I think there is a rhythm if you will and peace resides in that rhythm. I really enjoy these exchanges too! While we may have differing viewpoints, it seems like we are talking ” the same language”. I cherish the difference, and am sometimes afraid that my words might discourage, rather then encourage an exchange. Perhaps in knowing and trusting that there is no beginning or ending to some essence of who we are, or a sharing in the source of who we are can bring peace of mind and acceptance of unavoidable suffering. These are things I hope to find peace about. Thank you Someone, for that reminder. Something to think about.